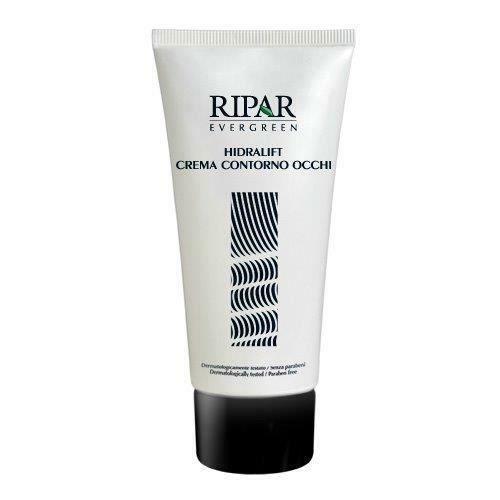 Ripar Evergreen Hydralift Eye Contour It is the perfect product for the treatment of the area around the eye. It consists of moisturizers (hyaluronic acid and NMF - natural moisturizing factor), nutrients (wheat germ oil), soothing (calendula, mallow) and antioxidants (vitamin E). Thanks to its formulation, it helps to reduce wrinkles, to prevent their occurrence and to give the skin a fresh, hydrated look. Applying it regularly helps maintain youthful delicate area around the eyes, responding to the needs of all skin types of men and women of any age. Apply Ripar Evergreen Hydralift Eye Contour every day, before any other face product. Delicately apply a small amount of cream around the eye area, morning and night, massaging gently until it is completely absorbed.